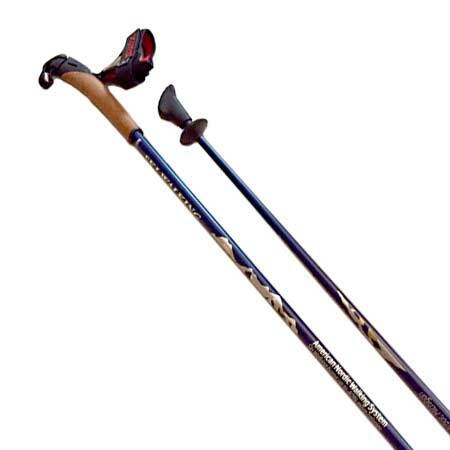 The EXEL Carbon TravelFit Nordic Walking, hiking and trekking poles are adjustable in length. 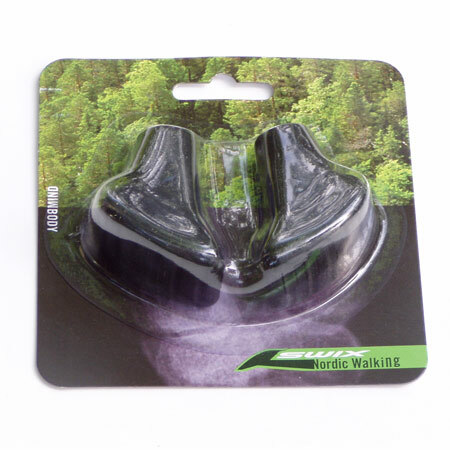 Equipped with comfortable patented Nordic Walking straps, cork grips, durable carbide metal tips for off-road use and removable natural rubber boot-shaped Nordic Walking fitness tips/asphalt paws for hard surfaces. These EXEL poles fit into backpacks and most smaller suitcases – many twist-lock and flip-lock collapsible poles do not. The EXEL TravelFit poles conveniently collapse down to 25 inches. 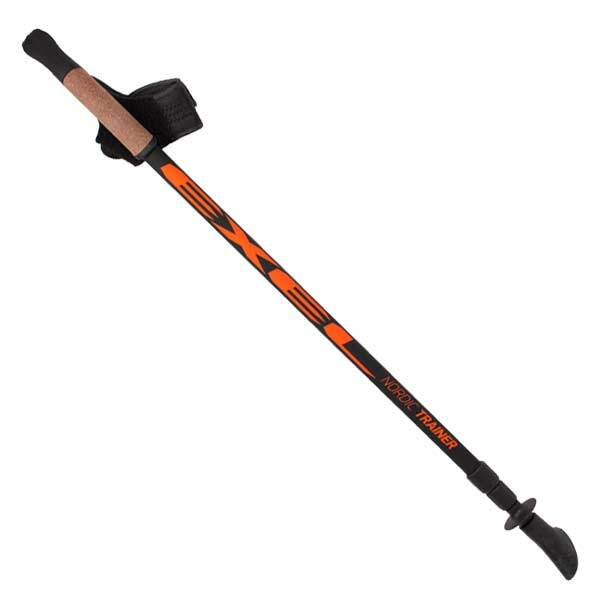 For everyday use, please consider any of our durable and user-friendly one-piece SWIX and EXEL Nordic Walking poles – ALL 32 sizes are in stock and ready to ship. Our recommendation for travel is always a padded travel bag and a pair of our one-piece SWIX or EXEL non-adjustable one-piece poles custom fit to each individual’s height. The EXEL Carbon TravelFit Nordic Walking Poles are far superior to cheap/flimsy collapsible poles, but our one-piece poles are rated #1 for a reason, and that reason is just simple physics. Twix-lock and flip-lock adjustable length/telescoping/collapsible poles are not recommended for everyday use. 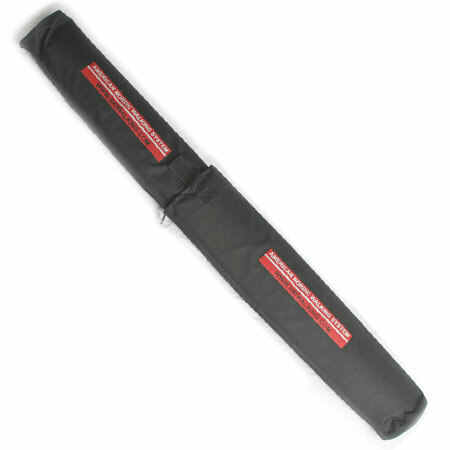 Collapsible poles tend to vibrate, rattle, gradually collapse when used and can totally fail and collapse unexpectedly. WARNING: Seniors and individuals with balance issues should NOT use 2-piece and 3-piece twist-lock or flip-lock adjustable length/telescoping/collapsible poles! Athletes destroy them – especially the cheap/flimsy collapsible poles flooding the market from China. 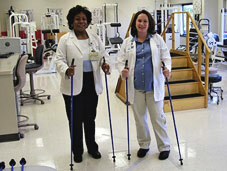 Seniors and individuals should only use quality one-piece poles. 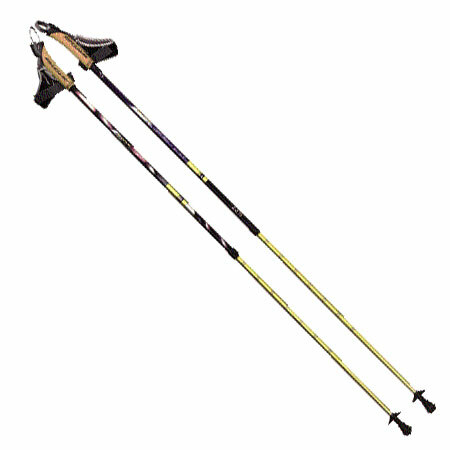 *Please note that SKIWALKING.COM and The American Nordic Walking System, the #1 rated retailer of walking poles in the USA, is the only retailer that is honest about the one-piece -vs- collapsible poles. Our valued customers appreciate our honesty. We hope you will too.